Scott McKinney | Name-Brand Ketchup. Some things in life need to be top-shelf. We take you now to the Minnesota DMV. License-Renewal Clerk: Very good. We’ve almost finished your driver license renewal. I have just one more official question I need to ask. Customer: Great. What is it? 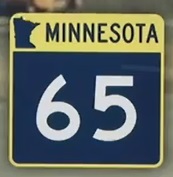 Clerk (to himself): Highway 65, eh? Excellent. (Pulls out pocket watch and dangles it by the chain. To customer:) I need you to stare at this pocket watch. Customer: Pocket watch? Why?….. (dazed:) Ohhhhhhhh…. Clerk: You are getting very, very sleepy. Clerk: When I snap my fingers you will wake up. You will forget this discussion. But whenever you see a GREEN LIGHT, you will fall instantly and heavily to sleep. Do you understand? Customer (still dazed): Yes…. Master…. Clerk: Excellent. (snaps fingers, customer wakes up) Well, there you are, sir. Your renewed Minnesota driver license. Customer (as he’s leaving): Wonderful! Thank you! Off to drive home on Highway 65! Clerk (chuckling darkly to self…..): Meh heh heh heh…. I really, really do. 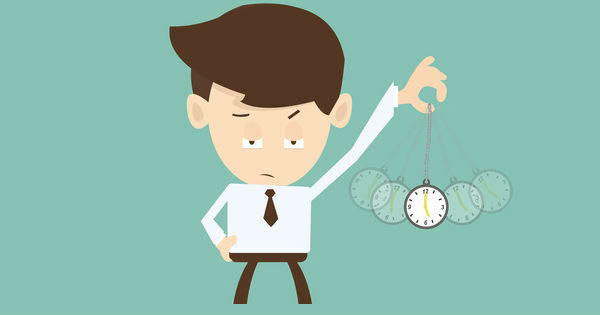 They’re an unnecessary time waster, they interrupt momentum that could be directed toward more pressing tasks, there are many more innovative methods these days for communicating information, and the people who actually LIKE the meetings do everything they can to pad them out to the inconvenience of others. I know I’m not alone in this. I’m sure there are many others in my office who also dislike meetings. I’m thinking of identifying these people and scheduling a time where we can all sit down together and share our thoughts and feelings. I’m considering reserving a conference room for this, and sending out emails to all concerned letting them know about this event. I’ll create an agenda that lists all the aspects we want to discuss about our aversion to meetings. We’ll ask someone to write down everything that is said, and later send these notes out to all participants to review in advance of an additional gathering. Additions or subtractions to this list of concerns will be submitted ahead of time so that the group can decide to accept or deny them. Maybe there’s even a book available that lists out rules of order that we can follow. Turns out it’s not just a stunt. This supposed “billionaire restauranteur” actually eats nothing but fast food. So the question is: why? Well, he can pop into a Mickey D’s or KFC, and no one would possibly know he was coming. He’s worried about being poisoned. But wait a minute. Poison? Who the hell still poisons someone in the 21st century? The House GOP’s new slogan. This is not a joke. Don’t laugh; they just made a spelling error. Why a blog? Here’s where I pour it all out. "Don't make me angry, Mr. McGee. You wouldn't like me when I'm angry." Don't stay where you're not wanted. Very, very sad to note the passing of Raylene Rankin. May I mambo dogface to the banana patch? It's crackers to slip a rozzer the dropsy in snide. © Scott McKinney and Name-Brand Ketchup, 2011-2018, except as indicated and acknowledged. Unauthorized use and/or duplication of this material without express and written permission from this blog’s author and/or owner is strictly prohibited. Excerpts and links may be used, provided that full and clear credit is given to me and Name-Brand Ketchup with appropriate and specific direction to the original content.